Do you struggle to manage your daily stress level? Have you tried to reduce your stress before but have had trouble letting go of your thoughts and emotions? If so, my free Stress Less Webinar is for you. Why do I want to help you? I’ve struggled with stress and anxiety for most of my life. I tried simply ignoring it, thinking that stress was just a normal part of life that I couldn’t change. I tried distracting myself, watching TV or reading a book, but the underlying stress always came back. I tried traditional meditation, but I found it difficult to turn off my thoughts as I was sitting still. My mind wandered and I found myself thinking more about when I was going to be done than actually relaxing and de-stressing. 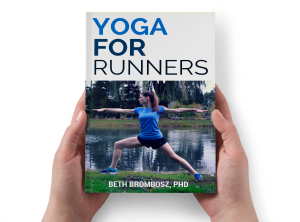 I didn’t truly feel like I was able to cope with my stress until I tried releasing my stress physically. Through movement, I could transfer the anxiety I was feeling to my body and my breath, which made the stress and emotion easier to release. Over time, I taught myself how to find the mental focus I needed to quiet my thoughts and find the calm I had been seeking. Releasing stress physically made it easier to find the mental stillness I was looking for, and allowed me to let go of the thoughts and stress I was carrying with me. 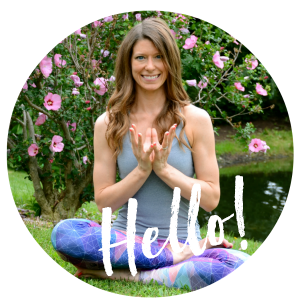 Using movement to mange my stress changed my life, and I’d love to show you how it can change yours. I want to share the stress-reduction system that’s helped me manage my anxiety and stress in my Stress Less Webinar. In this webinar, I’ll teach you the the tricks that I’ve practiced over the years to help me most effectively release my negative thoughts and worries, the tricks that I now teach to my students on a regular basis. I’ll show you how to release tension and get out of your own head, and how to manage the stress in your life. My clients often tell me that I was able to help them let go of a bad day at work, and able to help them feel like a completely new person. I want to help you feel the same way. The next Stress Less Webinars will be held on Monday, February 22nd at 8:30 pm EST and Sunday, February 28th at 8 pm EST. Save your spot below before the webinar fills up!